Scientists and researchers spend over two decades in school learning to identify problems, design projects, construct experiments, collect data, conduct literature reviews, calculate, analyze, write grant proposals, generate statistics and report findings. There is emphasis on the technical, empirical and rational forms of knowledge. However, scientific innovation, invention and discovery often arise from imagination intuition, dreams and flashes of insight (E.g. Albert Einstein, Neils Bohr, Archimedes, Dmitri Mendeleev etc). This type of cognitive processing is not well accepted in the scientific discipline, but the truth is that the mind requires sleep, intuition and unconscious modes of cognitive processing for problem solving and generation of innovative ideas. Scientists can be grouped into two broad categories based on their working habits: “accumulators” and “guessers”. The accumulators gradually gather and accumulate data, building upon and modifying existing knowledge. The guessers have flashes of insight, leaps, hunches, intuitions and dreams, which can then be tested to see if they are sound. Ideas and hunches often come when the mind is relaxed and not deliberately concentrating on technical problems. When a scientist is working to solve a problem, data and observations are gathered with the conscious mind while awake. While sleeping, the unconscious mind synthesizes, organizes and associates recent observations and stored information. Dreams and sleep are crucial for thinking; they allow the mind to reconfigure data into meaningful patterns. This can help conceptualize a problem in a more holistic and integrated way, it can help harmonize data in order to form a unified picture, and it can provide the basis for the solution for a problem. This can generate novel ideas, which can then be tested through experiments and the scientific method. 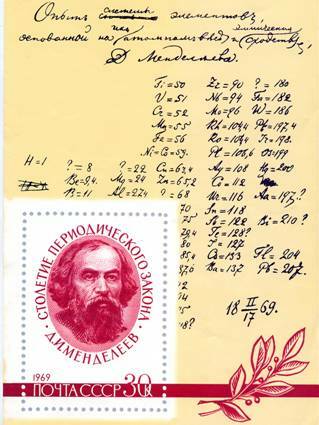 While sleeping, Mendeleev’s unconscious mind synthesized and organized the data that his conscious mind had been absorbing while working. A more holistic and complete understanding of the issue is generated, which is crucial to solving problems. Niels Bohr is the father of quantum mechanics and won the Nobel Prize in physics in 1922. 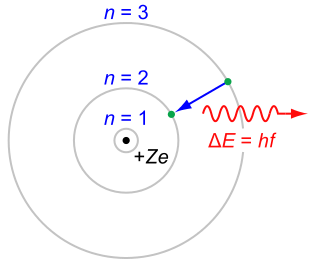 He developed the Bohr model of the atom, where electrons revolve around the nucleus and can jump to one energy level or orbit to another, concepts that are still valid today. He often spoke of the inspirational dream that led to his discovery of the structure of the atom. He had attempted to design various frameworks for the configuration of the atom but none would fit. One night, he saw electrons spinning around the atom’s nucleus like planets revolving around the sun. Upon awakening, he felt the vision was accurate, and immediately went to his lab in search of scientific evidence to support his dream. The 19th century German chemist Friedrich August Kekulé is famous for having discovered the structure of benzene, and hence the structure of all aromatic compounds. In this day, there was no technical way for him to visually see the structures so they had to be deduced from chemical properties. 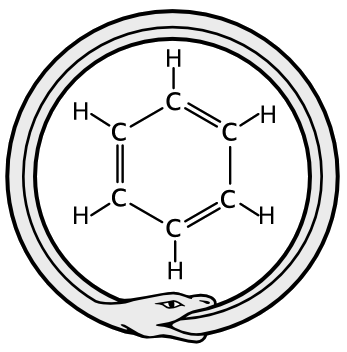 Kekulé says that he had a reverie or daydream where he saw a snake seizing its own tail and this was the inspiration for discovery of the ring structure of benzene. The snake eating its own tail is a religious and mythological symbol of many ancient cultures, known as the Ourobos. Kekulé is also famous for formulating the theory of chemical structure. This, he also saw in a daydream or reverie, where molecules and atoms were “swirling in a giddy dance”, which inspired his theory of chemical structure. The dream was an inspiration for what was to become the Theory of Relativity. 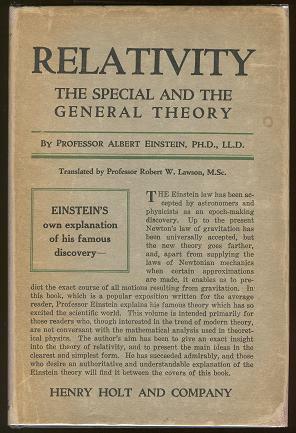 Einstein says that his entire scientific career was a meditation on this dream. May it have been more of a premonitory vision, than just a dream? A vision is something seen in a dream/trance or supernatural experience that discloses information through a revelation. Visions are linked to religious and spiritual traditions and provide higher knowledge or understanding of human reality. One notable example is René Descartes, had a series of three visions on the night of 11 November 1619 where he says that a divine spirit revealed to him a new philosophy, which combined mathematics and philosophy into a new discipline, analytical geometry. Through these visions he also discovered that all truths are linked to one another. Descartes also had imaginary conversations with “Evil Demon” or “Evil Genius” in Meditations on First Philosophy (1641), a personification who is “as clever and deceitful as he is powerful, who has directed his entire effort to misleading me”. Evil Demon is used as a method of systematic doubt, where we must doubt even our senses, which could be deceived. The goal is to use doubt as a way of obtaining knowledge about the things one cannot doubt. 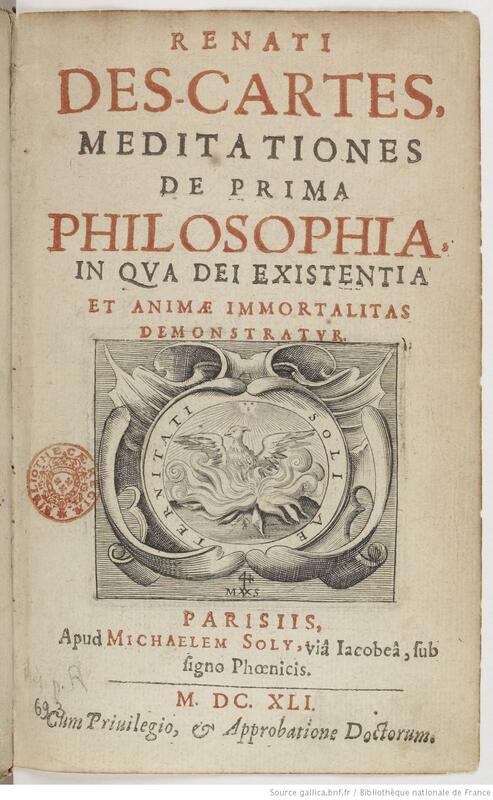 This is where “I think therefore I am” comes from: Descartes tried to doubt his own existence, but the fact that he was doubting his existence proved that he existed, since he could not doubt if he did not exist. Srinivasa Aiyangar Ramanujan (1887–1920: died at 32 years old), was an Indian mathematician who, with almost no formal training, made extraordinary contributions to mathematics and almost all his claims have been proven correct. He initially developed his own mathematical research in isolation, and developed over 3900 math theorems. 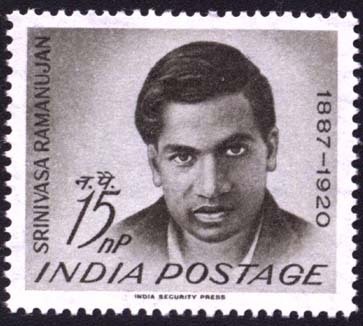 Ramanujan credits his work to the Hindu goddess Namakkal and her consort, who would repeatedly visit him in dreams and present him with scrolls of complex mathematical formulas. He would then test and prove them after waking. On the 125th anniversary of his birth, India declared the birthday of Ramanujan, 22 December, as ‘National Mathematics Day’. Empirical and rational knowledge as well as the intuitive knowledge that bubbles up from just under our awareness levels are necessary for scientific innovation. The unconscious mind can help solve complex problems when sleeping or when the mind is relaxed. Dreams, daydreams and even visions have sparked important scientific discoveries and innovations. Scientists – do yourselves a favour and leave the lab, go for a leisurely walk and go to sleep early tonight.